Need Help with Your Digital Lock? HD2100 Fire/Water Chest is rated 4.6 out of 5 by 50. Privacy key lock keeps unwanted viewers or children away from the contents of the safe. 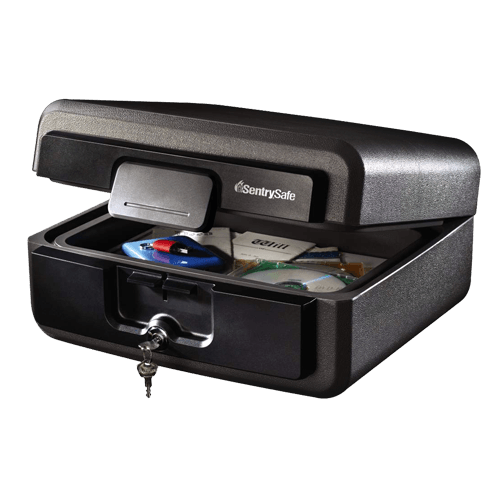 This SentrySafe Privacy Lock Chest HD2100 is a perfect solution for protecting important documents and valuables from threats of fire, flood and theft. Privacy key lock security helps prevent unwanted access to items and a spacious interior and in-lid straps allow for safe, organized storage. Our most standard option and the simplest way to secure your valuables. Typically accompanied by a spare for convenience. 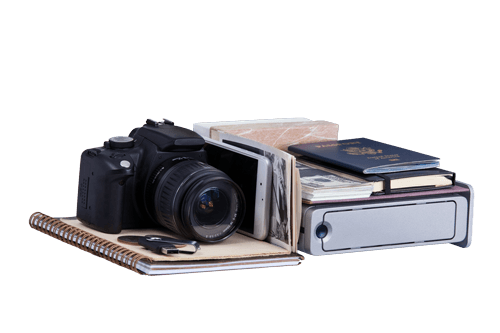 Protect tablets, phones, external hard drives, memory cards, USB drives, CDs, DVDs and other electronic storage devices. Note: All dimensions and weights provided are approximate, and are subject to change without notice. Customize your safe to fit your needs. Download the latest owner’s manual for this product. Guides to safe setup, troubleshooting, and other support needs. Rated 4 out of 5 by Tanner from Get the job done It's durable, portable, and has enough room to fit my important documents. Perfect for an apartment or someone on the go. Fits important papers and there's room on the lid to store small items as well with some straps. Solid all around. Rated 4 out of 5 by NellyVT83 from no easy way to tranport I'm replacing a previous 20 year old model 1550 that had a handle for easy transport. I thought that this model would also have one? Model 1550 also had more capacity? Rated 3 out of 5 by tdcld from Need a fireproof safe I was hoping the chest would have a handle. Easier to pull out if there was a handle and it would be easier to carry. Kinda disappointing. Rated 5 out of 5 by tony1246 from very satisfied I bought this at Wal-mart, I really only needed something that would protect data media and documents for at least 30 min as I have a fire station a mile away. From everything I researched this will do the trick. I'm not concerned about security with this chest as it is not meant for that. Rated 5 out of 5 by Ira18 from Great value I wanted a safe that was waterproof and fire resistant to hold my backup hard drives and DVD backups. This was the perfect size and price. I would not consider it a 'security ' safe because of it's size and lock. You need to spend much more of you're looking for that feature. Rated 4 out of 5 by Rlester1967 from Good product Generally this is a sturdy, product. The only issue I have had is with the top storage straps. The area doesn't keep certain documen's secure; such as marriage certificate, birth certificates... odd-sized papers. Apart from that, it is heavy and very secure. © 2019 Sentry Group. All Rights Reserved.